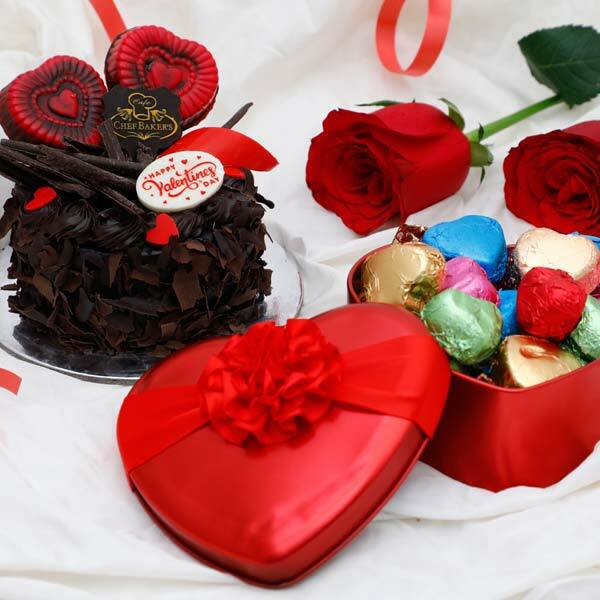 Death by Chocolate is an ultimate glee for all those who love to splurge on chocolate and make their special day memorable with some chocolaty delights. This cake is stuffed with lots of chocolate to satisfy the chocolate cravings. The sponge is equipped with chocolate flavor essence and consists of a thick layer of chocolate truffle. The scrumptiousness is enhanced with the chocolate flakes that also bring crunchy delight in this dessert. Finally, it is garnished with chocolate to make it extra tempting. You can’t resist but having more and more of this deliciously relishing cake. Chefbakers are special because only high-quality ingredients are used in baking the cakes. Making your day memorable with the sweet delight we make sure that your cake not only tastes delicious but look tempting as well. The perfect decoration brings all the appeal and brings excitement to the parties. Order cakes from Chefbakers and gets them delivered any time of the day. Thanks for the promptness and fresh delivery. My friend loved the carnations and the cake. Death By Chocolate Cake wi..